In 2007, Russia performed the first ever descent to the ocean floor at the North Pole as part of the Arktika-2007 expedition. 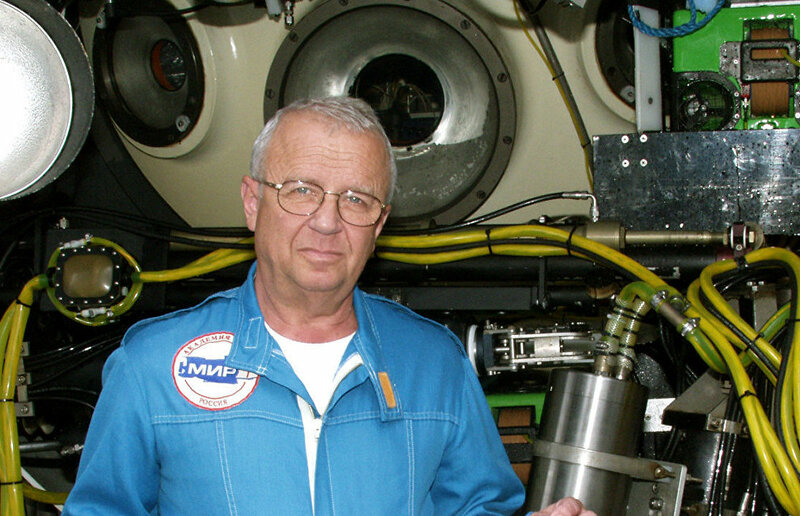 MIR submersibles descended to a depth of 4,300 meters below a two meter-thick ice cap. Professor Anatoly Sagalevich, Doctor of Technical Sciences and member of the MIR crew, responded to questions from arctic.ru. Where did the idea come from to perform a submersion at the North Pole? This idea came up during a conversation with my foreign friends, Don Walsh and Mike McDowell. Don Walsh had taken part in a tourist cruise to the North Pole on one of our icebreakers, where he and Mike discussed the possibility of descending to the ocean floor there. Mike said it was impossible. Don Walsh said he knew of one person who could do it, and gave him my name. He and I are old friends. In 1960, Don Walsh and Jacques Piccard descended in the Mariana Trench, the deepest trough on planet Earth, and for a long time they were the only two people who had done so. In 2012, they were joined by James Cameron, who had undergone extensive deep-sea descent training with us using MIR submersibles. In 1998, Mike came to see me in my Moscow office. The idea of ​​a North Pole submersion came up during our conversation. We spent the next nine years getting ready for the expedition in terms of equipment and funding. All our technical preparations focused on safety issues. No one before us has ever even tried to descend to a depth of 4,000 meters under ice at the North Pole. We had to make sure the MIR could find its way back to the surface to a relatively small ice hole a few dozen meters in diameter. We developed special-purpose sonar devices and new navigation techniques to help us map the location of the MIR in the water and under ice. In addition, we improved the ballast and the propulsion systems. The submersion was scheduled for 2007, which was proclaimed the Polar Year. We started discussing this issue with Artur Chilingarov back in 2003 (Artur Chilingarov is the President of the Association of Polar Explorers, a special presidential envoy for international cooperation in the Arctic and the Antarctic, Hero of the Soviet Union, Hero of the Russian Federation, and a corresponding member of the Russian Academy of Sciences), when much of the technical work had already been completed. Chilingarov did a lot to make this expedition happen in terms of organizational issues. Was the Arctic submersion any different from the submersion in Lake Baikal? There was nothing out of the ordinary. A water column is a water column. As we went deeper into the ocean, we passed layers of water of different density, where we couldn't hear sonar beacon signals, and communicating with the surface was a problem, but we were prepared for it. This is normal. When we got to the bottom, the ooze particles killed all visibility, but we expected that to happen. Everything was just like during any other submersion. There were no specific difficulties. The difficulties began when we started ascending. First, we found ourselves 1.5 km away from the point where we started our submersion, as a result of underwater currents and drifting ice on the surface. Second, gyrocompasses don't work at the North Pole, and we had to work our way back to the ice hole experimentally by changing the course of the submersible and determining the distance to the starting point using the navigation system. But when we got close to the base ship, the Akademik Fedorov, we were in for quite an ordeal. The vessel had a stern thruster on (a device that uses a water jet to keep small ice floes away from the vessel, and also presses the ship to solid ice. — Note. Ed.). Of course, when the submersibles surfaced, the thruster had to be stopped, but it kept on working, and we were thrown away from the vessel. After much maneuvering, we resurfaced in the right place 20 minutes later and were pulled aboard. Our nine-hour underwater adventure ended safely. What were the research goals of this expedition? We had to take soil and animal samples, and also plant the Russian flag at the North Pole. All these missions were accomplished. The Arktika-2007 expedition caused quite a stir in the United States and Canada. 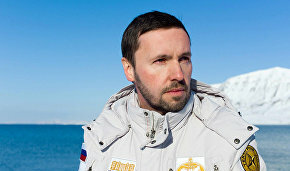 Foreign politicians said, in particular, that this expedition was Russia's attempt to stake a claim to the Arctic shelf. Is that true? The Canadian Prime Minister said that we usurped the North Pole by planting a Russian flag there. During a video conference with London, which was broadcast worldwide, I was asked, "How do you feel about what the Canadian Prime Minister said?" I said, "In 1969, the Americans landed on the Moon. Neil Armstrong stepped out of the spacecraft and planted an American flag there, but no one is claiming that the Moon is American." One submersion to the seabed cannot be used to determine the Arctic shelf boundaries, so saying that our primary goal was to expand the Russian Arctic shelf is incorrect. That was not the point of our expedition. What we did was a closed hydrospace walk, which no one before us had ever done. Sooner or later, this skill will become useful, and we now know how to do it, because before that people thought we were crazy even to think about it. Even my colleagues from the United States thought I was out of my mind when I told them that we were going to descend at the North Pole to a great depth under ice. However, time will come when such submersions will be necessary. And we now know how to do it technically and methodically. Speaking of the Arctic shelf, there are no laws that would define the shelf as a continuation of land structures. The Lomonosov Ridge is an extension of the Siberian Platform. Of course, this can be proved, but not only with the descent of a submersible. This is not the point. I attended a conference in Washington D.C. at one point, and one of its panels was devoted to the future of the ocean. There were different opinions on how to delimit the continental shelf and how to divide the ocean into zones of influence in general… A representative from Iceland made an interesting comment. He said that the Mid-Atlantic Ridge (MAR) originates near Iceland and then continues across the entire ocean. So, if you divide the ocean based on this principle, the entire MAR should belong to Iceland. Therefore, there's a need for some regulations. How is the expedition to the Arctic important to you personally? As a researcher and an engineer, I believe it's a humanitarian and an engineering achievement. I will read an excerpt from an article (Reporting from under the Ice Dome, A.M.Sagalevich, Priroda (Nature) magazine Issue No. 10, 2007). "To date, more than 400 (437) people living on our planet have gone into space. Thirteen people have walked on the moon. Only two people have conquered the deepest point of the ocean: the Mariana Trench, which is about 11,000 meters below the seal level. But until now, no one had ever seen the actual North Pole: the ocean floor, under cover of ice. No one had dared descend to the bottom of the northernmost point of the Earth to a depth of 4,300 meters beneath a 2-2.5 meter-thick ice cap. We took the risk and triumphed! Yes, it was definitely a victory. A victory of the human mind, of will, courage, daring and the desire to fathom the unknown, something that no one has ever conquered before. It was a leap into the unknown…" That's what it was all about, in my mind.